Register Log In Home Forums Trapper Talk Cold Bass Turd Coolers? I couldn't spell it properly but does anyone have one? They are lighter than a Yeti, less than 1/2 price and have an additional 1 inch of insulation. I ordered one today and hope I am pleased with it. If anyone has one how do you like it? I personally wont purchase any brand of product with the word “turd” in it. Unless it is some space age super duper “turd” remover toilet paper! Ha! Loved the way you spelled it 160. Sorry, I've not tried that brand, but sure looks like it'd be a cold bass turd. I was trying to ask a question without breaking the Bosses rules. 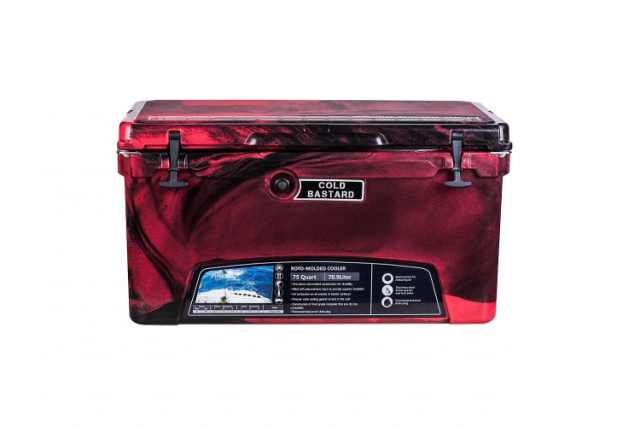 They look like a great cooler and are a lot cheaper than a Yeti. I thought I would ask the "experts". God Bess the turd coolers. I just got in from the visit with the optometrist and my eyes are still dilated . Does it keep the beer away from Dead Coyote is the real answer ? Any child resistant lock should do the trick. Who keeps bass anyways ? Not familiar whith them,,but I have a cabelas cooler that's half price of the yetis and just as good if not better. We’ve all had 4day old chilli turn hot the next day. I can see someone thinkin this up when the heats on. That’s the exact one! It is the 75 quart so hopefully that will be enough booze for a week in Canada. No beer allowed! Have they flipped a burd to the NRA yet? Nothing like a delicious August bass from warm water. Now I know what to look for at Redwood Falls this summer.How many 4 1/2 does it hold? Last edited by Northof50; 02/11/19 09:47 PM. It won’t be in RWF. That ship has sailed for me. Rob, why would anyone who lives in northern Minnesoota need a cooler? Yeah, geeze , what was I thinking? Forgot you guys have that 3.2 beer up there. Good Wisconsin Beer will still be liquid at 10 Fahrenheit.